Need to stretch your apps budget? 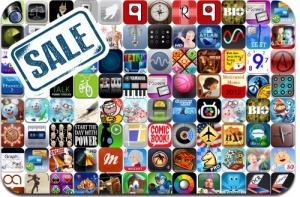 Here are 92 iPhone, iPad and iPod touch apps that just went on sale. This app deal alert includes Royal Envoy, ▻Chess, Mega Man X, Venice Mystery, LostWinds2, Bang!, Charmed, Tetris, Gyro13, Rock(s) Rider, Forgotten Places, Q’ed, Recipedia, Vidify, ComicBook, Planimeter, Meernotes, Musaico, SmartScan, and many others.